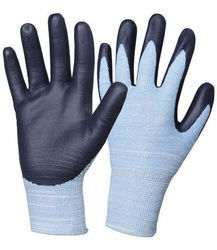 We are a leading Manufacturer of glove knitting machine manufacturing, nitrile gloves with filock line, nitrile palm coated gloves, nitirle gloves, pvc gloves and rubber coated gloves from Chennai, India. 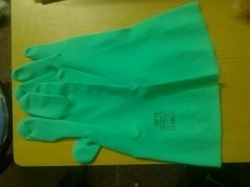 Owing to the presence of our expert team members, we have been able to offer a wide range of NITRILE FLOCK LINE GLOVES. These are made using top quality raw materials which are sourced from the trustworthy vendors of industry. 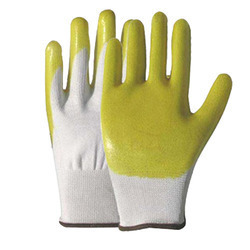 Our gloves are widely demanded by clients owing to its optimum quality and easy usage. 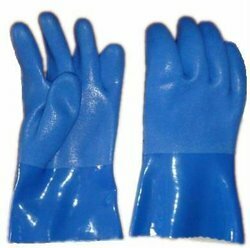 We are one of the widely acclaimed manufacturers and suppliers of Nitrile Palm Coated Gloves. 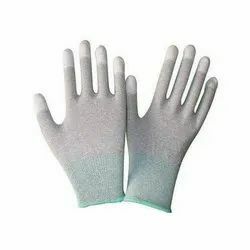 The offered nitrile palm coated gloves are specially designed for very commonly used for the automobile industry, metal stamping industry and construction industry. 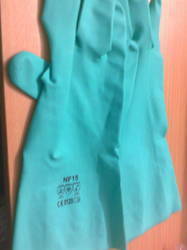 Our supplied nitrile palm coated gloves are resistant to abrasion. 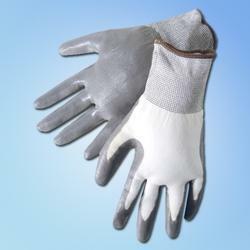 Being a client centric organization, we are involved in offering a wide range of nitirle glovesThese are manufactured from first grade raw materials and using advance technology. Our products are widely recommended by clients owing to its smooth finish with grip . We offer these products at market leading rates. 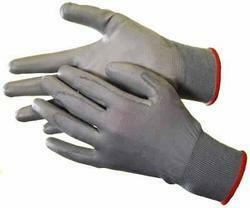 We excel in offering a wide range of PVC Gloves. These are widely preferred by clients owing to its designer appearance and fine finish. 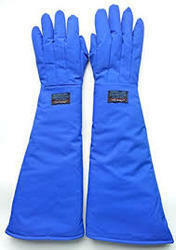 We make use of top quality raw materials to manufacture these gloves and ensure lightweight of our gloves. 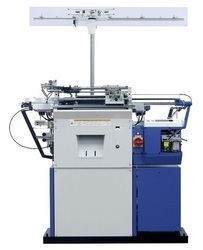 These can be availed in all standard sizes and designs as per the demands of clients. 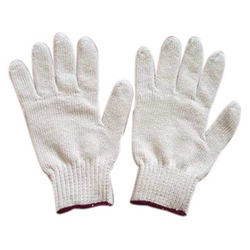 Enriched with vast industrial experience, we are involved in offering a wide range of Cotton Gloves. These are made by implanting best available technology and following world class standards. 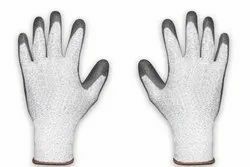 Our gloves are widely acknowledged for their optimum quality, smooth texture and fine finish. One can avail these in various standard sizes. 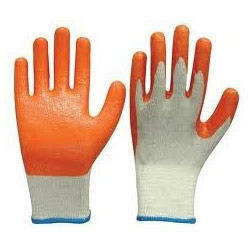 Usage; construction , glass handling, wood work, warehousing, agriculturing work.